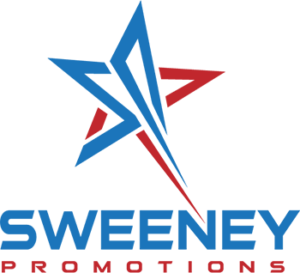 For effective marketing and first-rate live events, Sweeney Promotions gets the job done. Promotions that engage and events that entertain. We cater to organizations who want to hold successful business events, trade shows and conferences, and lively community events. Our experienced planning makes your event a breeze. “Our fathers gave us many laws, which they had learned form their fathers. These laws were good. They told us to treat all people as they treated us; so that we should never be the first to break a bargain; that it was a disgrace to tell a lie; that we should speak only the truth; that it was a shame for one man to take from another his wife or his property without paying for it. Increase your reach, event attendance, and product sales. Our results-oriented team works hard to make your event a success. We’ve produced successful events all over the Willamette Valley since 1988. We are committed to your success and do whatever it takes to get the job done. We are sincere and direct with everyone we meet. We give back to the community through service to numerous organizations. Once per year for one night only, this world-class event opens the doors of an authentic Western town. Visit the saloons, hotel, jailhouse, old mine, and bathhouse. Dance in the heated arena with midnight balloon-drop. Watch world-champion bronc riders, try a mechanical bull, enjoy great food, and win prizes. Get your tickets early! This Old West fundraiser gets rave reviews for fun! With live country music, a period-style casino, steer riding, jail, auctions, piglet races, full-size beer pong, and live shooting gallery, there’s nothing else like it! Best of all, we raise money for kids to benefit (org name) while having fun. Pepsi has partnered with Sweeney Promotions for several years. We can’t say enough about their attention to quality and detail. It’s easy to say nice things about a company who has a record of proven success. An abundance of creative ideas. We consider Sweeney Promotions a part of our sales and marketing team. Sweeney Promotions is the best at getting our message to our customers. They have a vast knowledge of the local market. Dean and his team stand above other promoters. 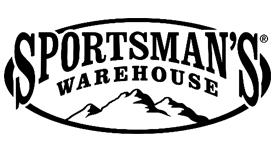 Their commitment to service, reliability, and genuine care for our company puts them miles ahead of the competition.